Kid Curators - The Kid Curators program uses Visual and Language Arts standards to introduce students to persuasive writing, while learning how to curate an exhibition. Students work in groups using images from the Museum’s permanent collection to craft their own art show, using a main idea and supporting ideas to develop a theme for their exhibition. This grades 3-6 workshop is held in a classroom and lasts approximately fifty minutes for each class of twenty to thirty students. 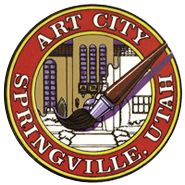 Gallery Experience - Posters representing artworks from the Springville Museum of Art's permanent collection will be displayed in a self-contained space (e.g. media center or kiva) where students will engage in an aesthetic discussion facilitated by an SMA Outreach Educator. The Gallery Experience takes approximately thirty minutes for each class of twenty to thirty students. Studio Experience - This is an art-making experience that focuses on people. Students will practice new figure drawing skills by observing their own classmates. This workshop is held in a classroom and lasts approximately thirty minutes for each class of twenty to thirty students. Schools will provide paper and pencils, a white board, and, if possible, a microphone. Faculty Professional Development - This in-service consists of discussion-based group activities, which revolve around posters and postcards from SMA’s collection. A packet of lesson plans, several posters, and sixteen classroom sets of postcards will be donated at no charge to the school. This in-service training takes approximately thirty minutes. Our Outreach Educators are also available to provide in-service training for several schools at the same time, as in district-level professional development days. Exploring Self - This program is designed to help students find personal meaning in art, specifically through the theme of identity. Students will engage in group and classroom-wide discussions about identity-themed SMA art, play relevant team-building games, and reflect upon their experience. A pre-visit packet (given to teachers upon scheduling a date) provides activities to do before and after the Art Talks presentation. This presentation can be adapted to various time lengths. Contact our Outreach Specialist for more information at 801-491-5709 or RTill@springville.org. 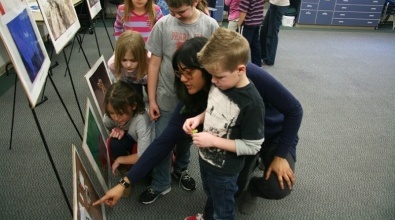 Art Talks is conducted by the StateWide Arts Partnership (SWAP) and funded by the Utah State Legislature through Professional Outreach Programs in the Schools (POPS) under the direction of the Utah State Board of Education (USBE).